A charismatic leader or image management can attract crowds, but that does not guarantee electoral success. Intellectuals, sociologists and many in the media believe that elections, around the world, are fought on the mysterious and totally inexplicable notion called charisma. 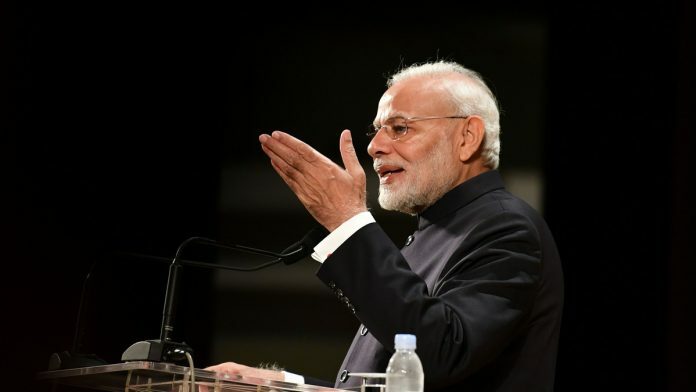 This time too, in the Lok Sabha elections, many journalists are comparing the ‘charisma quotient’ of PM Narendra Modi and Congress president Rahul Gandhi. There are people who believe that Narendra Modi has a particular kind of charisma and there are those who find him totally despicable. Similarly, there are commentators who say that Rahul Gandhi’s personality lacks appeal, while others vehemently argue that such observations are part of the propaganda promoted by the likes of Arnab Goswami. Then of course, by and large, there is a consensus in the media that Priyanka Gandhi has a charm and genuine charismatic presence. They attribute it to the image and memories of her grandmother and former PM Indira Gandhi. Ironically, Indira Gandhi was ridiculed as a “Goongi gudiya (dumb doll)”, when she was chosen as Congress’ prime ministerial candidate in 1966. But in about five years, particularly after her daring fight with the old guard of the party, known as the Syndicate, and her landslide victory in the 1971 “Garibi hatao” election, she began to be described as a woman of courage and charisma — she became the ‘Iron Lady of India’. Indeed, the Economist called her “Empress of India” in their cover story after the 1971 India-Pakistan Bangladesh Liberation War. That was charisma par excellence. Now, even those who are hostile to Indira Gandhi, compare Priyanka Gandhi in positive terms to her grandmother. The so-called Nehru dynasty is considered charismatic. Or else, nobody would have paid such exclusive attention to Priyanka Gandhi’s children (aged 16 and 18) when they accompanied her to Amethi. There is no other family in the country whose grandchildren are showered with so much media attention. Today, we may hate to recognise it, but fact remains that Adolf Hitler was regarded by millions of Germans and even many leading Europeans as a leader with hypnotising charisma — even if it was dark. In America, automobile legend Henry Ford and aviation adventurer Charles Lindbergh were enamoured with Hitler’s Charisma. They were also strongly anti-Semitic and perhaps that’s why they supported the Nazis. Among recent politicians in India, Atal Bihari Vajpayee exuded that charismatic aura but his comrade in arms, Lal Krishna Advani, could not. He was famous, but not charismatic. In the 1970s, Jayaprakash Narayan had that aura, although it was lost soon after the Janata Party’s collapse. No other prime minister, post-Nehru, Indira and Rajiv Gandhi could really claim that attribute. Neither Morarji Desai, nor Deve Gowda, nor Inder Kumar Gujral and Chandra Shekhar had that charm. That clearly proves that the post or power is not enough to get the charisma. In Indian politics, there have been some “short term” charismatic figures who shone for a while but were forgotten soon. Former prime minister Vishwanath Pratap Singh was one of them. But he lost that appeal rather quickly. Some like Lalu Prasad Yadav and George Fernandes had fleeting charisma that lasted only for some time. So, how does one decode the phenomenon of charisma? And in the current context, will that affect how people vote in the 2019 Lok Sabha elections? Will people vote for the BJP because of the media-promoted charismatic image of Narendra Modi? Would Modi lose his appeal if he gets substantially less number of seats in this election — from 282 in 2014 to say, 182 in 2019? Winston Churchill did not lose his charismatic appeal despite losing the election after leading the Allies to a victory in World War II. John Kennedy continues to enjoy a charismatic image. So do Fidel Castro and Che Guevara, even now. Just as Mao still enjoys the divine status, his successor Deng Xiaoping cannot, despite his leadership that radically transformed China into a great power. No African leader can even come remotely close to Nelson Mandela. It is clear that wealth or fame, success or looks, access to power, international recognition or prestigious award cannot bestow a person with charisma. Even this election will not be fought on the competitive charismatic character of Modi or Rahul Gandhi. Neither the biopic of Modi — PM Narendra Modi starring Vivek Oberoi — nor the NaMo TV channel will build charisma or influence the electorate. Perhaps, the Election Commission has saved the producer-director as well as Narendra Modi by not letting the film released till the polls are over. If the film had flopped, it would have brought more ignominy. A charismatic leader or media’s image management can perhaps attract crowds, but that does not guarantee electoral success. Elections are lost and won on very mundane issues like price-rise or communal divide, on caste or language, on corruption scandals or misdemeanours. But those who go for a propaganda overkill and try to bulldoze the campaign, neglecting the major burning issues, will realise belatedly that the investment in image management was not at all worth the results. For them the D-day of reckoning is not far off — it’s 23 May. Whoever is elected in 2019, first they.must avoid spending 90percentage of outside lndia tour &spend time for national infrastructure & opposite parties maybe consulted in development &they must also cooperate so that taxpayers money should notbe wasted.for unnecessary foreign tours. Not that anyone has any kind of higher expectations from Ketkar Saab, but this article must be one of the most boring and useless article with no objectivity or purpose being served through this. Ketkar saab got a residential flats from UPA government so he remains a loyal footsoldier of Congress is fine, but why bring Nehru/Indira/Rajiv in an article meant to say that Modi may not win. The article at an elementary level lacked any kind of structure, was grammatically poor and most importantly made no sense whatsoever. Absolutely shameless output from this writer (writer ?). Merely another outpouring of his contempt and hatred for Modi, reflected in his newfound talent for Astrology. But it is nothing but “WISHFUL THINKING”. like ignorant people who blindly believe that if you wish for something everyday, it will ‘somehow’ come true one day. Let us not bother to wake him up now. He will be, rudely, on the 23rd May anyway. The masses of India need more awareness, awakening and smartness in judging men and matters ! to occupy the political space vacated by Congress ! Ironically, he frittered away the golden chance that came his way in 2014 . Neither NaMo has any Charisma nor has visionary and evergreen leadership qualities of head and heart ! NaMo does not need any enemy because NaMo the leader is his own worst enemy ! Kumar is at his best (worst) again. Of course, one need not even read his article to understand what he wants to say, as the title itself is good enough! Now, he has accepted that Modi may win but hopes that though he still maintains his charm, he can still lose. As a succour, he offers that his charm can remain in tact even after he loses. But for Priyank, he is sure she has the charm and the party will win the polls hands down, due her charm. For her, rule that applies to Modi do not apply! May God bless Kumar who gives us such gem of ideas. What a pointless self serving article!? All said and done, if UPA deserved two terms, so does BJP-NDA. Just one term cannot offer much evidence of the height of glory or depths of misery a government can take the country to.. Hopefully BJP-NDA in second term will do course correction and not turn out to be like UPA II. Others one cannot say, but Vivek Oberoi certainly lacks charisma.